In the parks, pubs, gardens, beaches and promenade; musicians - from the highly professional to the inexperienced amateur - get together in impromptu sessions whilst Morris dancers, Appalachian clog dancers, rapper sword dancers and many others demonstrate their skills on the streets and along the prom all week long in Broadstairs, Kent. 9th August: Capercaillie, Anthony John Clarke, Bob Fox, Tom & Barbara Brown's Singaround. 10th August: Mick Scott and Hurly Burly, Anthony John Clarke, Lebedek, Kevin Dempsey + Carolyn Robson + Karen Tweed, Larkin Poe, The Urban Folk Theory, Dan Walsh, Clarence, Stowfolk, The Hooden Horses, Bob Fox, Tom & Barbara Brown. 11th August: Dervish, CoCo & the Butterfields, Kevin Dempsey + Carolyn Robson + Karen Tweed, Doug Hudson, Ledebek, Mick Scott and Hurly Burly, Dan Walsh, Clarence, Stowfolk, The Hooden Horses, Josienne Clarke & Ben Walker, Tim Laycock, Tom & Barbara Brown. 12th August: The Hosepipe Band, Ashley Hutchings' Morris On, Fake Thackray, Slim Chance, Dave Ellis & Boo Howard, SpikeDrivers, Keith Donnelly, Grace Notes, Saul Rose and James Delarre, Mick Scott and Hurly Burly, Dan Walsh, Tim Laycock, Clarence, Stowfolk, The Hooden Horses, Tom & Barbara Brown. 13th August: Fay Hield & The Hurrican Party, Gavin Davenport, Simon Care Trio, Grace Notes, Maz O'Connor, Scallwaggin', Greg Russell & Ciaran Algar, Sunjay Brayne, Kay Anderson, Graham Anstee & Tap Roots, Saul Rose & James Delarre, Cate Banister, Mick Scott and Hurly Burly, Clarence, Stowfolk, The Hooden Horses, Tom & Barbara Brown. 14th August: Peggy Seger, Sunjay Brayne, Cathryn Craig and Brian Willoughby, Tautas Roks, Jed Grimes, Jeff Warner, Jerry Harmon, Keith Donnelly, Maia, Kay Anderson, Graham Anstee & Tap Roots, Stowfolk, Mick Scott and Hurly Burly, Clarence, The Hooden Horses, Tom & Barbara Brown. 15th August: Peggy Seeger, Colum Sands, Jeff Warner, Yoruba Women Choir, Against the Grain, Jed Grimes, Blackbeard's Tea Party, Zulu, Mick Scott and Hurly Burly, Clarence, Stowfolk, The Hooden Horses, Tom & Barbara Brown. 16th August: Colum Sands, Pierre Vincent, The QP, Tim Edey, Phillip Henry & Hannah Martin, Union Jill, Tautas Roks, Shooting Roots Showcase, Kay Anderson, Graham Anstee & Tap Roots, Mick Scott and Hurly Burly, Clarence, The Hooden Horses, Tom & Barbara Brown. The headline acts will be performing at the Concert Marquee, located in the middle of the town and a ten-minute walk from the campsite. Early bird season tickets are available priced at £190 (£239 with camping) for adults, £113 (£138 with camping) for youth, and £73 (£98 with camping) for children. Day tickets are £39 with camping or £32 without camping. A weekend ticket (9th,10th,11th) is priced at £112 for adults with camping. Thanet residents, family, and other options also available. Tickets for individual events will also be available. To buy tickets, click here. Broadstairs Folk Week has grown organically  Pierremont Park in the middle of the town became a focal point for the Folk Shows and many other elements of the festival that are still in place today began in the late sixties and early seventies.  The festival has had time to grow and develop in its own time and soon turned into the annual invasion of folkies which has become a highlight of the year  both for local people and visitors. There is a campsite which will be open for Season Ticket holders for an additional charge, open from 10.00am on Friday and closes at midday on Saturday. This year there's a new home for the camp-site with improved facilities at Charles Dickens school which is still within walking distance of the town centre. As well as the event festival goers can also enjoy 7 sandy beaches, an Italian ice cream parlour, pub sessions, singarounds, and Shooting Roots. Broadstairs Folk Week is an independent organization  a registered charity and a company limited by guarantee that depends on a combination of ticket income, public grants, commercial sponsorship and individual donations from the Friends of Folk Week and other fund-raising such as collections on the street to exist and to stay in the town and not become a green-field site festival outside of Broadstairs.